With all the craziness going on the past couple weeks and the fact that I am super behind on reading the books I already have, this weeks IMM is a little light. 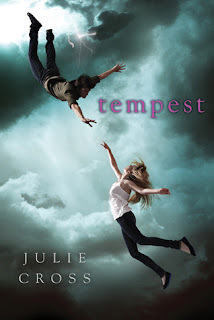 "Tempest" by Julie Cross (So excited to read this and such a pretty cover :0). What did you get in your mailboxes? Great IMM this week! Tempest looks really good. I'm really excited to read it too. 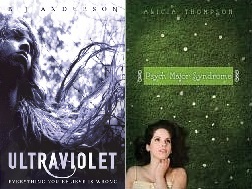 Ultraviolet and Psych Major Syndrome both sounds good also. 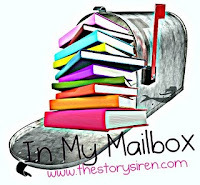 Hope you enjoy your books! Happy Reading! I've heard amazing reviews about Ultraviolet! Hope you enjoy it! I've been hearing awesome things about Tempest. Enjoy and Happy Reading! I won a contest for Tempest a couple of weeks ago. Can't wait to get the book and get started! Psych Major Syndrome looks really cute! I like the cover a lot! You're the second person I've seen that got Tempest this week. Still so jealous! I haven't read many time traveling books, so I'm pretty excited for this one. And the love story sounds so sweet. Hope you enjoy! I want Ultraviolet so much. It's on My Wishlist. I really want to read Tempest! It sounds really interesting and until recently I had no idea that it was about time travel! I love the cover on Tempest! I haven't read it yet but i want to! I hope you enjoy it! Come check out my IMM!! Fab set! I can't wait to read Tempest. I'm going to have to check out Netgalley. I saw a copy of Ultraviolet on a bookstore and I think it looks electrifying! haven't read it though.